Indeed, the optical parts of thermal imagers are sensitive to dust and humidity. Various military equipment, with or without optical parts, have the same issue. Consequently, maintenance activities can be really complex and a clean room is mandatory. But a clean room and the associated benches require an important investment and a specific maintenance in order to ensure the best operation of the maintenance means. The strategic choice between acquiring a maintenance centre, or not, is not so easy. Financial, political, human and technical repercussions could follow. Thales Optronics develops its own mobile clean rooms dedicated to maintenance operations which require an ISO 7 level. 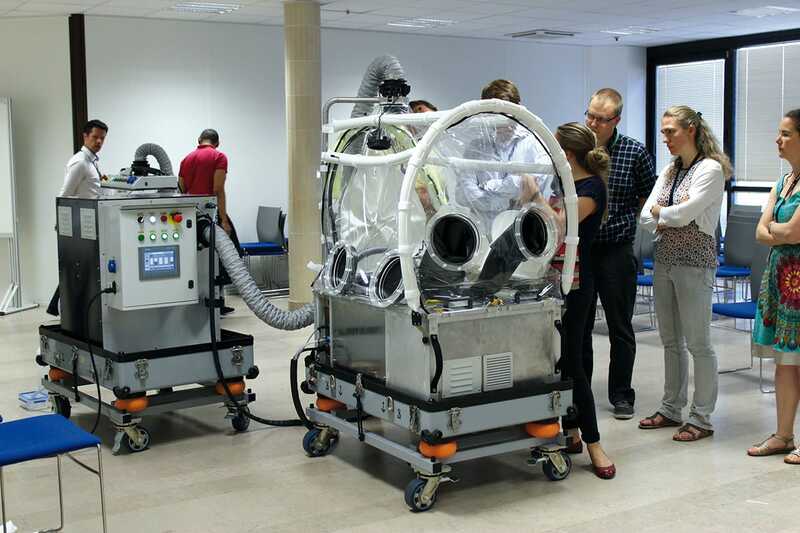 This clean room, composed of a clean air module and a confinement module, is easy to deploy and use. Its friendly interface allows for an ergonomic use and thanks to its various sensors (temperature, humidity….) it also provides a real-time situation; allowing you to easily repair all your products. Furthermore in order to reinforce and strengthen your maintenance capacity, a set of mobile workbenches has been developed. These workbenches will bring a real added-value by providing a wide maintenance spectrum (from OLM to extended ILM). This modular solution is not only dedicated to all our optronics products but can be deployed for any type of solutions. Thales can even rent the clean room and the mobile workbenches so your trained teams will be capable of performing complex maintenance tasks in any theatre and absorb sudden increases in workload. Thales will also be able to regularly upgrade this solution for you. Clean rooms and associated workbenches are a complementary solution for your maintenance centre and fleet availability expectations. Our No. 1 priority is to help you keep your optronics systems in top condition. 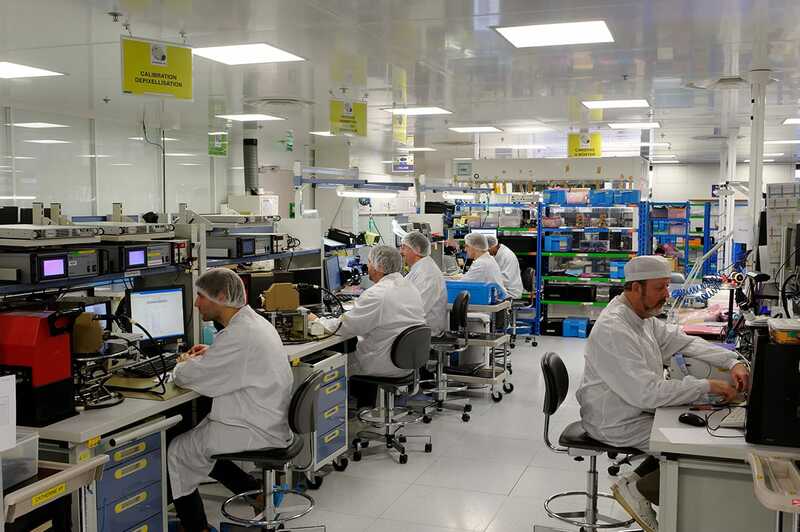 Thales Optronics owns and masters various test benches dedicated to all thermal imagers’ families, from Sophie to Catherine. Test benches cover the whole production and maintenance processes in order to provide fully operational equipment. They can be transferred to customers, who are aiming to develop their own maintenance capacity, with the relevant training.